The award-winning adventure continues in Banner Saga 2! This epic, story-based, role-playing game continues its emotional journey across a breaking world. Bold leadership decisions, wise use of resources, and skillful battle tactics are vital to ensure your viking clans make it through alive. 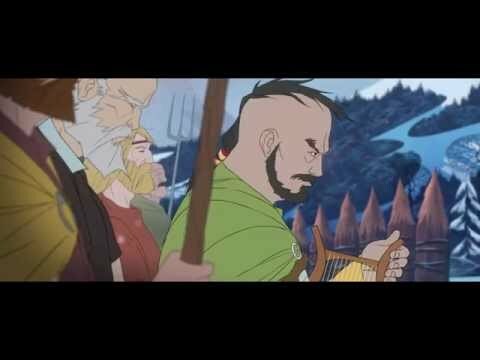 Experience what took the indie gaming world by storm in Banner Saga 2! If you played The Banner Saga, your choices will carry over into The Banner Saga 2. If you haven’t played it, don’t worry! You can still enjoy the game with pre-set options for your main character at the start of the game. Now promote heroes to rank 10, with duel classing and a new Talents system! Beautifully hand drawn combat sequences and animations, accompanied by an evocative score from Grammy-nominated composer Austin Wintory, will immerse you into a fantasy realm inspired by Norse mythology. Choose from 48 playable characters from 4 different races and 40 different classes, each with unique abilities and upgrade options to fit your play style.